​Contact Us to get involved in 2020 ! WHAT: A Fun and Educational Maple Sugaring Program for your organization! WHEN: The 2019 maple sugaring programs concluded in March. Maple Moon Celebration: Check back here in 2020 for the date of the 2020 event in early March. Maple activities, pancakes, entertainment and singing, tree gratitude ceremony. HOW TO GET INVOLVED: email us to say "Yes! We'd like more information about 2020 programs!" *Atharhacton is the Lenape name for the Kingston area. This project honors our native “first people” and one of their gifts to all future settlers: the wisdom, method, and gratitude for making Maple Sugar. 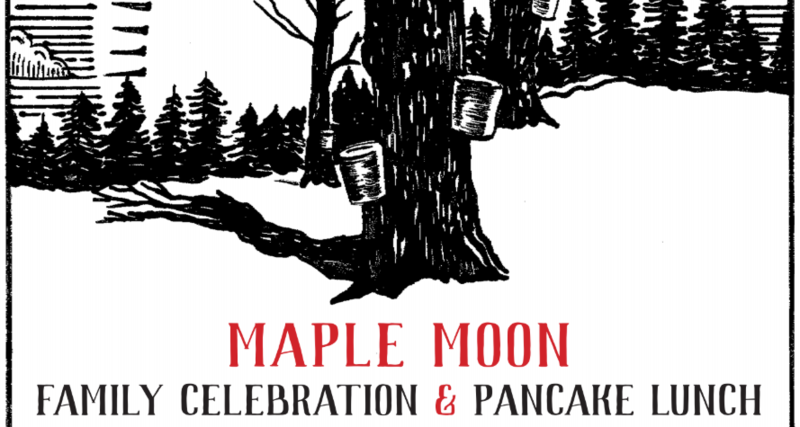 CHECK BACK HERE early in 2020 for the DATE of the 2020 MAPLE MOON CELEBRATION!